Raven is a new 29 peg canal style lake that is 13-14 metres wide and has evenly spaced pegs. Car parking spaces are available directly behind each spot. It is stocked with Carp, Tench,Brown Gold Fish and F1’s all up to 6lb. 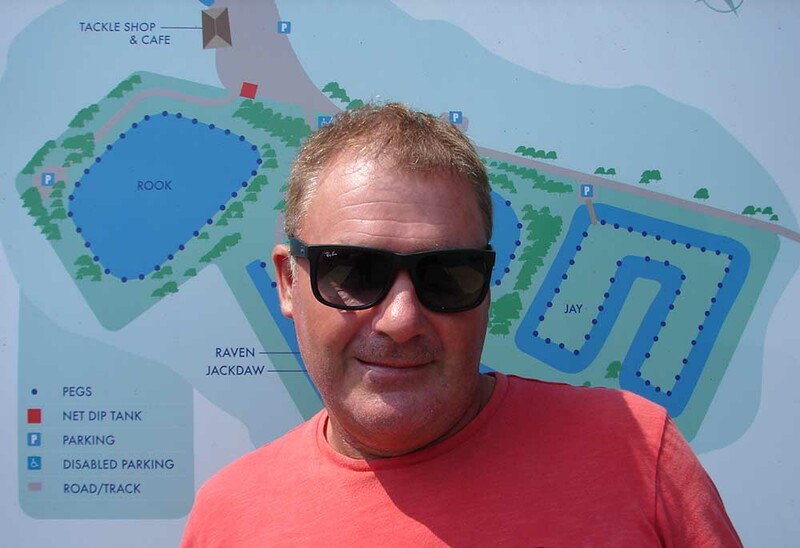 Raven has recently had a massive stocking of 4,000lb of F1’s and mirror carp offering lots of bites for the angler during the colder months. Stage One of this was the essential improvements to Raven lake, the youngest lake on the complex. After building permanent concrete pegs, Stage Two introduced a track that enables anglers to park behind their swims during a match or pleasure session. This work has been completed and makes access to all swims very easy for all. We then drained the lake to enable us to dig a shallow even margin an the angling bank and two large flat spots on the far margin, as permanent fish holding features (as pictured below). Stage Three took place on Tuesday the 23rd of October, with the introduction of 1,500lb of F1’s Hybrids between 4oz and 1.5lb . These have been introduced to ensure bites for all during the colder months, as Mark Pollard found out during our first open match after re-stocking, landing over 140 fish for a total weight of 111lbs +. Stage Four took place today (31st October 2017) and yes, the re-stocking continued. An additional 1,500lbs of common and mirror carp from 1lb 3.5lbs were introduced. This means that this lake is now ready to become one of the venues key lakes, with an exceptionally good head of fish, that will offer the angler a good days sport, hopefully even when the weather turns really bad. This 29 peg, wells stocked lake is the ideal water for small club matches and anglers who’s mobility is limited, as you can park directly behind your swim and the ground is nice and level, making access to your swim very easy. So if you’re club is small and you want to book a match for 8 – 10 anglers, Raven is the lake for your club or group to consider but it can also comfortably accommodate 20 plus anglers, offering great all year round sport with room to spare. Dead maggots and groundbait or over wetted micros with bunches or maggots or paste in the margins. Caught on Thursday the 18th of August 2018 and his tactics were to fish caster shallow at 6m for the majority of his catch.